Bydgoszcz ([ˈbɨdɡɔʂt͡ʂ], German: Bromberg [ˈbʁɔmbɛɐ̯k], Latin: Bydgostia) is a city in northern Poland, on the Brda and Vistula rivers. With a city population of 358,614 (June 2014), and an urban agglomeration with more than 470,000 inhabitants, Bydgoszcz is the eighth-largest city in Poland. It has been the seat of Bydgoszcz County and the co-capital, with Toruń, of the Kuyavian-Pomeranian Voivodeship since 1999. Prior to this, between 1947 and 1998, it was the capital of the Bydgoszcz Voivodeship, and before that, of the Pomeranian Voivodeship between 1945 and 1947. During the early Slavic times a fishing settlement called Bydgozcya ("Bydgostia" in Latin), became a stronghold on the Vistula trade routes. In the 13th century it was the site of a castellany, mentioned in 1238. The city was occupied by the Teutonic Knights in 1331, and incorporated into the monastic state of the Teutonic Knights. The city was relinquished by the Knights in 1343 with their signing of the Treaty of Kalisz along with Dobrzyń and the remainder of Kuyavia. King Casimir III of Poland, granted Bydgoszcz city rights (charter) on 19 April 1346. The city increasingly saw an influx of Jews after that date. In 1555, however, due to pressure by the clergy, the Jews were expelled and came back only with the annexion to Prussia in 1772. In the 15th and 16th centuries Bydgoszcz was a significant site for wheat trading. In 1807, after the defeat of Prussia by Napoleon and the signing of the Treaty of Tilsit, Bromberg became part of his short-lived Duchy of Warsaw. With Napoleon's defeat at the Battle of Nations in 1815, the town was returned to Prussia as part of the autonomous Grand Duchy of Posen (Poznań). In 1871 the Province of Posen, along with the rest of the Kingdom of Prussia, became part of the newly formed German Empire. In the mid-19th century, the arrival of the Prussian Eastern Railway (Preußische Ostbahn) contributed greatly to the development of Bromberg. The first stretch, from Schneidemühl (Piła) to Bromberg, was opened in July 1851. The city grew from 12,900 in 1852 to 57,700 in 1910 – of whom 84 percent were Germans and 16 percent Poles. After World War I, despite Bromberg's German majority, it was assigned to the recreated Polish state by the 1919 Versailles Treaty. Now officially Bydgoszcz again, the city belonged to the Poznań Voivodeship. The local populace was required to acquire Polish citizenship or leave the country. This led to a drastic decline in German residents, whose number within the town decreased to 11,016 in 1926. 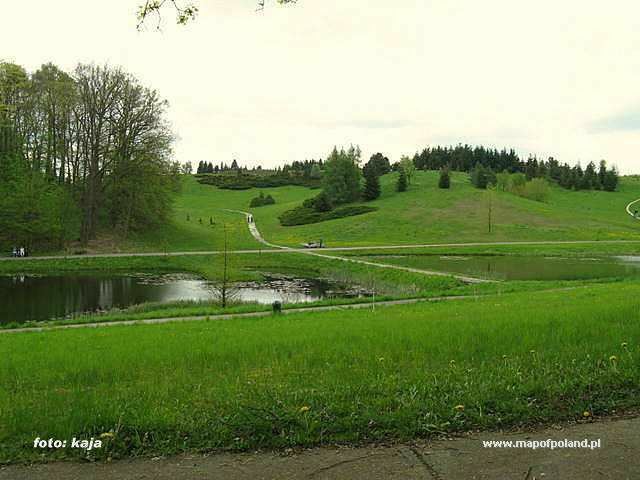 In 1938, it was made part of the Polish Pomeranian Voivodeship. During World War II, Bydgoszcz was occupied by Nazi Germany and annexed to the Reichsgau Danzig-West Prussia as the seat of the district or county (kreis) of Bromberg. On 3 September 1939, shortly after the war started, the Bloody Sunday incident occurred; while both German and Polish civilians died during the fighting, Nazi propaganda used the German deaths and named the incident Bloody Sunday as a pretext for lethal reprisals against the Polish population following occupation of the city by German troops on 9 September. The history of Jews in Bydgoszcz ended up with the catastrophe of World War II, the German invasion of Poland, and the Holocaust. The city's Jewish citizens were sent to Nazi death camps or murdered in the town itself. Bromberg was the site of Bromberg-Ost, a women's subcamp of Stutthof concentration camp near Danzig (Gdańsk). A deportation camp was situated in Smukała village, now part of Bydgoszcz. An estimated 3,700 citizens of Bydgoszcz – Jews and non-Jews – died during the Nazi occupation. In 1945 Bydgoszcz was occupied by the advancing Red Army. In the same year it was made the seat of the Pomeranian Voivodship, the northern part of which was soon separated to form Gdańsk Voivodship. The remaining part of the Pomeranian Voivodship was renamed Bydgoszcz Voivodeship in 1950. In March 1981, Solidarity's activists were violently suppressed in Bydgoszcz. Bydgoszcz is a major cultural center in the country, especially for music. Traditions of the municipal theater dates back to the 17th century, when the Jesuit college built a theater. In 1824, a permanent theater building was erected, and this was rebuilt in 1895 in a monumental form by the Berliner architect Heinrich Seeling. The first music school was established in Bydgoszcz in 1904, it had close links to the very well known European piano factory of Bruno Sommerfeld. Numerous orchestras and choirs, both German (Gesangverein, Liedertafel) and Polish (St. Wojciech Halka, Moniuszko) have also made the city their home. Since 1974, Bydgoszcz has been home to a very prestigious Academy of Music. Bydgoszcz is also an important place for contemporary European culture; one of the most important European centers of jazz music, the Brain club was founded in Bydgoszcz by Jacek Majewski and Slawomir Janicki. 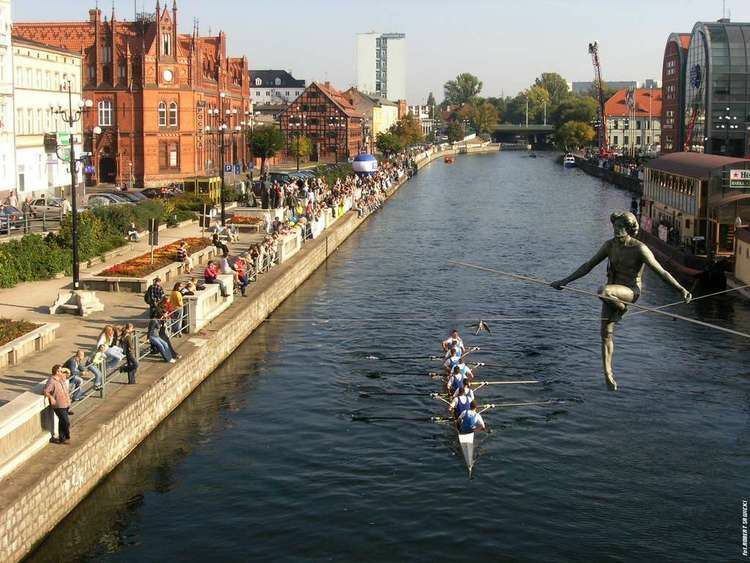 Bydgoszcz was a candidate for the title of European Capital of Culture in 2016. Bydgoszcz Raiders – American football team. Centrostal Focus Park Bydgoszcz – women's volleyball team playing in Polish Seria A Women's Volleyball League: 2nd place in 2004/2005 season, 4th place in 2005/2006 season. Polonia Bydgoszcz – speedway team from the Polish 1st League. The club has won Polish Speedway League 7 times (lately in 2002) and European Team Championship 3 times (lately in 2001). Zawisza Bydgoszcz – football team playing in Polish T-Mobile top league. KKP Bydgoszcz – women's football Team (Ekstraliga Kobiet). Bydgoszcz was the host of the IAAF World Junior Championships in Athleticsin 2008 and 2016, 2008 and the European Athletics U23 Championships in 2003 ad 2017.